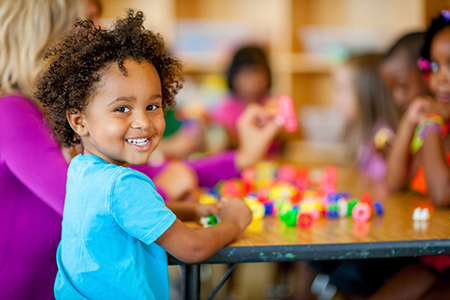 CocoKids (formerly the Contra Costa Child Care Council) is your trusted source of nonprofit services and support, including free child care referrals and parent resources. CocoKids is here to help you find a child care or preschool program that works for you and your child. Consider licensed child care centers and licensed home-based family child care programs. Whether you are looking for infant, toddler, preschool, before- and after-school child care or care for a child with special needs, let us know. We urge you to take the time to search and interview for the right care-giving partner for your child and family. 1. Conduct phone interviews and confirm the information you receive. 2. Visit and interview those child care providers that meet your child and family’s needs. 3. Ask for references and speak to other parents who use their services. 5. Always visit several child care providers before deciding on one. 6. Note that some community-based child care programs are exempt from licensing. Ask about their complaint policies and procedures. 7. Observe and/or listen to your child and trust your instincts. *California State Law requires a licensed facility/provider to show you any licensing report that documents a visit to the facility or a substantiated complaint investigation within the last three years. Contact the CA Department of Social Services, COMMUNITY CARE LICENSING, for a complete file on a licensed child care provider. Complaints and violations are available at www.cdss.ca.gov/inforesources/Community-Care-Licensing or 1-844-538-8766. For more information, our tip sheets Looking for Child Care and A Parent’s Checklist for Child Care (Spanish version) can help you find “quality” care and early education for your child. See a full list of parenting tip sheets. You may be eligible for help paying for child care. Learn more about our Child Care Fund and eligibility enrollment so you can help your child and your family. If you have questions about child safety, health and nutrition, need help for a child with special needs or have any concerns about your child’s development or behavior, our experts can help. If you have any questions, please contact a Child Care Referral Counselor at info@cocokids.org or 1-925-676-5442. CocoKids has experts in child care, preschool, Kindergarten readiness, child nutrition and physical activity, and more. Visit www.cocokids.org to learn about the nonprofit services that can help you and join our community.